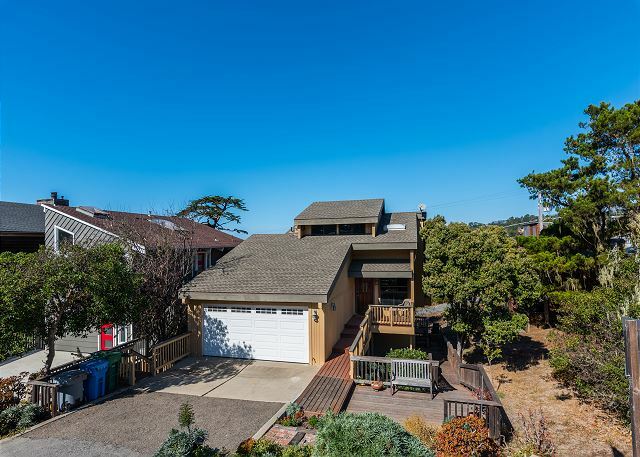 High up on Park Hill, this house has nice, wide views of the ocean, the Piedras Blancas lighthouse, and even Hearst Castle. You can even see part of Moonstone Beach from here! Come enjoy Birds Eye View! We stayed here for a bicycle ride for the weekend and couldn’t be more pleased with our selection of rentals. The house had plenty of room and a great view from the balcony. We will be returning with our kids for future stays. We stayed three months on this property, our home away from home. The view is fantastic. The home was clean and well equipped. It was nice to have the two-car garage even though we only had one car. The neighborhood is nice and the location is fantastic. The two bedrooms downstairs each have their own bathroom. The loft upstairs is reasonably private. We would highly recommend this property. Three of us (one being our boxer dog) enjoyed six weeks at Bird's Eye View. We love the location, functionality and overall size of the house. The Breen online house pictures and information do portray the house very well; there were no surprises. Fiscalini Ranch Preserve is a short walk away and much of it is off leash for dogs. 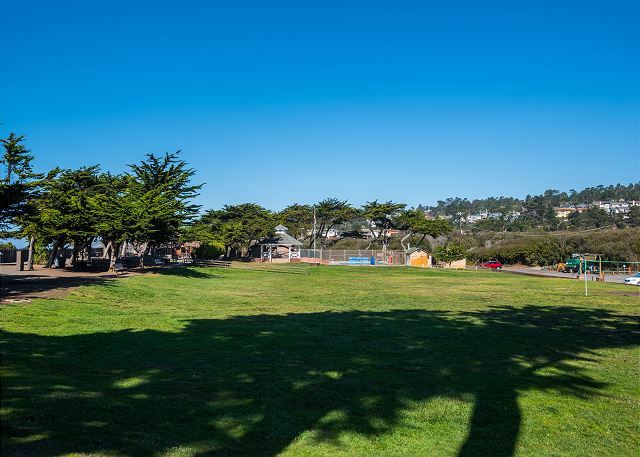 The location also allows walking to both the east and west villages of Cambria for those who like walking (and we do). Cambria has some steep hills so walking will include hills. There is very good walking in and around Cambria with much more in the surrounding area. The house is very comfortable although the carpeted areas are worn but kept clean. The garage is kept quite tidy and can hold two vehicles. Internet, TV and other electronic services/equipment are up-to-date and work well. Furniture, including beds are comfortable. 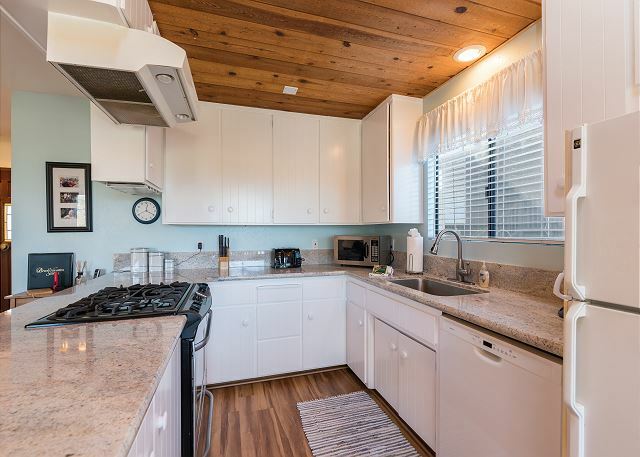 The kitchen has everything one might need, including an impressive assortment of dishes, pots, pans, etc. 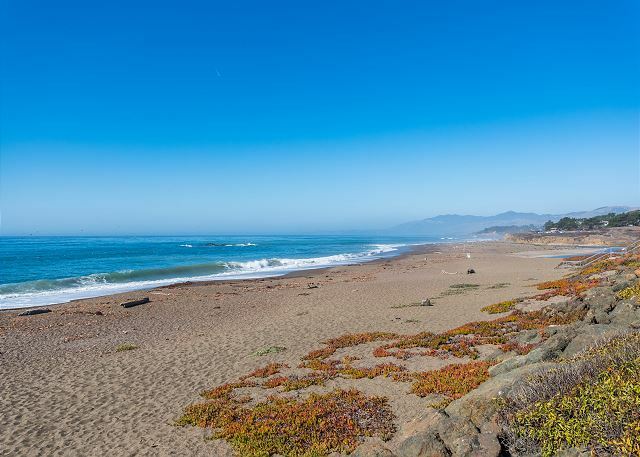 We have stayed in Cambria before and love the small town feel and friendliness. Cafes, coffee shops, retail shops, wine tasting, a brewery and much more await. Stores such as Target, Trader Joe's, Costco, Kohls and many others are within easy driving in Paso Robles and San Luis Obispo. There must be upward of several hundred wineries, a score or more breweries and a number of distilleries scattered in this Central Coast region. I should also mention that working with Breen is very easy; they made suggestions regarding possible houses (dog friendly) in this neighborhood and helped us settle on this house. We had our mail forwarded to Breen and often stopped by to ask questions about the surrounding area. The alleviation of the condition of insanity has been solved now ?? We had an amazing weekend for our family. The weather could not have been better as we celebrated the life of our dear brother who passed away recently. We enjoyed long walks on the Fiscalani Ranch and Moonstone Boardwalk. Cambria has been a special place in our family for more than 35 years and will continue to be in the future. Our stay was great. The layout of the house was good for us and our dog. We did have a problem wit the stove. The grills are extremely worn and oven was difficult to regulate. Time to replace. Tim F from Northridge, CA does not recommend this vacation rental. Not sure what happened before we got there but If this were my home, and I found it in the condition that it was, I would have been very very very unhappy. Many, Many pet stains on down stairs carpet, some of them still wet.... Also kitchen pots/pans could use a cleaning. There was visible grease/grime on them. These guests did not advise us of any issues or concerns during their stay. We would happily remedy any problems a guest might having during their stay if we are informed of the situation. It is not possible for there to have been wet pet stains at this home as the home was vacant multiple days prior to arrival. We regularly clean carpets of homes that are pet friendly in order to maintain a clean and comfortable atmosphere in all of our homes. Family of five stayed in Bird's Eye View for the weekend. 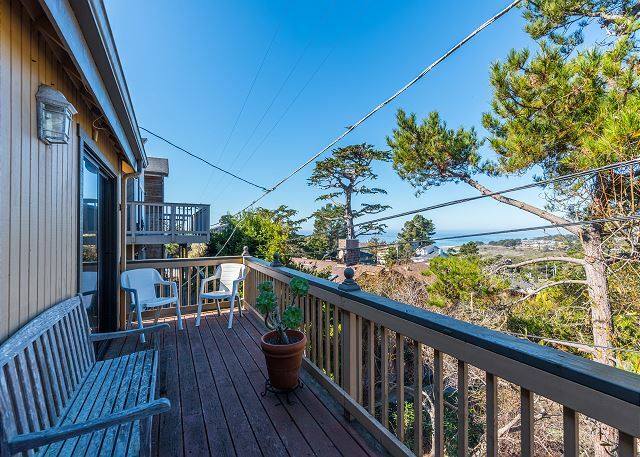 The house is in good condition, the kitchen had all of the necessary accessories and there is a nice view of Piedras Blancas off the deck. The kids really enjoyed sleeping in the loft too. This was the perfect space for our family. Teenagers had their own space upstairs in the loft. The main level served as common space for enjoying meals, games, and movies together. 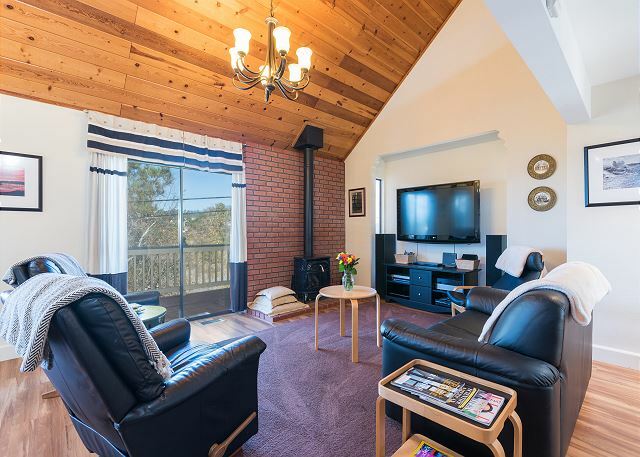 Parents and grandparents each had their own bedroom and bathroom downstairs, which served as a quiet retreat when needed. We did have a lovely time and did enjoy our stay immensely. Do wish there were more tv's in the house and the loft with the large opening was a little bothersome if the adults wanted to stay up passed the kids but in the end it all worked out and we made great memories here! Anniversary visit a great time. We have stayed at this home in the past, love the layout and location. This property allow pets and does show some wear compared to our last visit. I can not give enough praise to the management, they are all very helpful and professional. Wonderful place to stay for the holidays. All information was accurate. We loved having hiking opportunities nearby. The place was clean and reasonably well maintained. Breen Vacation Station provided good service and accommodated our late arrival well. The internet speed was adequate. The TV worked well, but was complicated to figure out. The microwave was too small for cooking and the coffee maker should be replaced. The kitchen was well equipped with utensils and the necessary silverware for 6. The house slept 6 as advertised and was reasonably well maintained. It was cozy. We had a nice stay. Overall I would say we received fair value for the money, but I would recommend the property to a friend or relative with the caveats listed. Have kids & dogs? A good choice. This is an older home up the hill from the beach. We were very happy with the location, and especially enjoyed the front deck (pictured). Our party consisted two children, two well-behaved dogs and 2 to 3 adults. We stayed for nearly a month and at no time did we feel overcrowded. 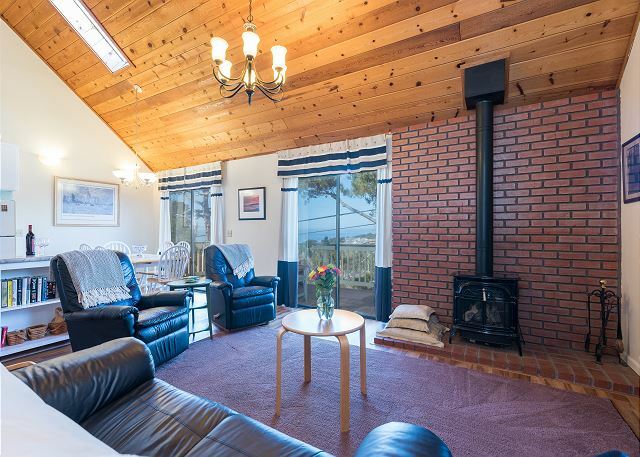 The house is very convenient for scenic walks and beach visits with the dogs & kids. The folks at Breen were helpful, especially Nicole who helped us make the arrangements. We were considering several houses for our extended stay and she was very honest in her description of all of them. All correspondence was handled in a timely fashion and everyone was pleasant. The owners could update a bit. The kitchen faucet leaked and needed replacing during our stay. The internet connection was tenuous the last 10 days of the stay, making work difficult. We went to the local coffee shop and used their Wifi, best coffee ever and nice view so that helped. The mattresses were comfortable, but the sheets had seen better days. The kitchen was fairly well supplied, but the glasses and silverware were cloudy, the dishwasher wasn't quite up to it. 3 bathrooms in very good shape and plenty of towels. The gas fire made for cozy mornings in the lounge with the family. All and all a nice stay. a guest from Vancouver, British Columbia does not recommend this vacation rental. We stayed at this property for three nights in May and generally had a good time. The property is very conveniently located and well kept. We found the kitchen to be really dated especially some of the appliances like the stove and oven. Sadly, the wifi, phone and tv didn't work the entire we were there. The carpet was dusty and stained and probably needs to be replaced. Despite these little things the Birds Eye is a good option if one plans to visit Cambria. 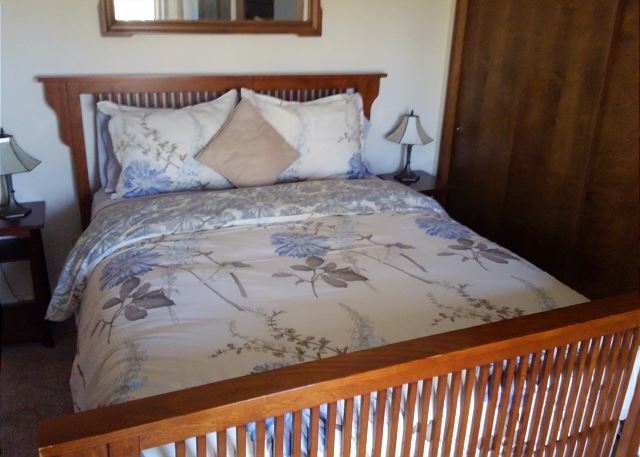 The beds were extremely comfortable and the bedrooms nicely situated in the basement. Terrific. Wish I could have stayed longer. check in was easy. kitchen was a bit dirty, especially areas like the top of refrigerator; carpet has some stains but otherwise generally clean. 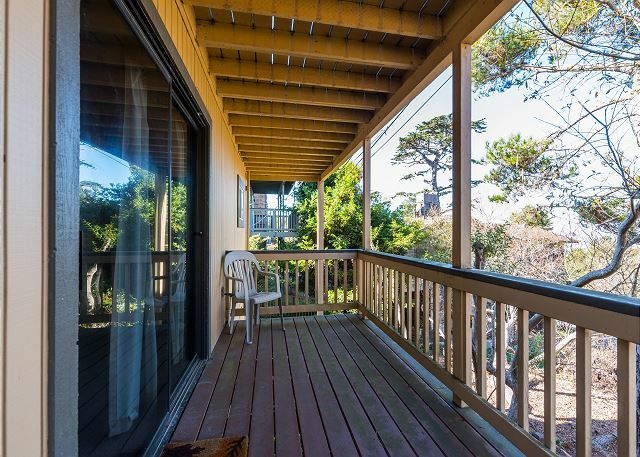 Great location--short walk to beach and hiking trails; walkable to town, as well. Can opener was broken (minor complaint) and two of the four burners on the stove had to be lit with a match (electronic ignition was not working). But again, good experience and generally very pleased with our rental experience. Dave S from Fresno, CA does not recommend this vacation rental. Overall our experience was very good with your office and we enjoyed the cool climate.However,before the carpet was shampooed and the place was deep cleaned,it was not acceptable to us.The staff was very helpful in getting this former lanlords ourselves,I would recommend in replacing the carpet with wood floors especially up stairs,along with replacing the stove and vent/fan assembly in the kitchen-very old and outdated.Also the trees in the rear need to be trimmed below the deck in order to see the coast.But again the staff were very helpful!! Great place to stay for July 4th! Great location! House is very convenient. House is not very insulated between the floors so you can hear people walking if you have early risers. Ad says it sleeps 8, but there is only bedding for 6. They also advertise that they provide a bottle of "Local Wine" when you check in. We did not check it when we got was not from anywhere near Paso Robles. Otherwise very happy with the rental. Ahhhhh Cambria . . . .nothing like it! We found the house to be very comfortable and well appointed. We would definitely return. Overall this is a good property if you need three bedrooms and three baths. Two bedrooms have their own bath. 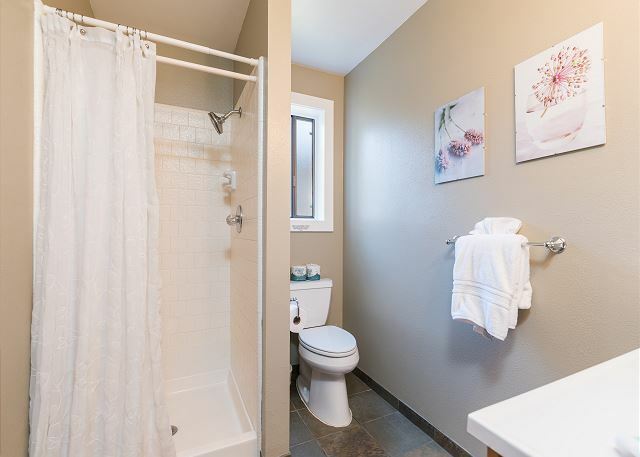 We thought it might be important for others to know the third bedroom is a loft so there is a little less privacy and the logical bathroom for that room is on the main floor. The kitchen has all the basics but is not equipped for preparing more than simple meals. Seating in the main area for wathching movies etc is limited but it's spacious and carpeted so you can grab a pillow and lay on the floor. Views are awesome and it's a close walk to the beach. We would definitely stay again. Our family of 5 enjoyed our stay in this great home that was easily accessible to a lovely park, the beach and great walking trails. The kitchen was well equipped with all we needed, the beds comfortable and it was great to have 3 showers! The home was lovely, me and my husband had a great weekens. He snores therefore, I was able to move to a different room when he was too loud and I could not hear a thing. The view was lovely, we sat at the balcony just to look at the starlit sky and we could hear the water from there. The house was very spacious and came with alot of plus items like extra light bulbs, flashlights...Lovely Stay. Nice home, but downstairs bedrooms NEVER feel warm...and upstairs loft was ALWAYS too warm. Middle floor (LR, K/DR, and BR)were fine with heater on. Patio too shady to be used. Backyard totally shade and ground constantly moist so not great for pets. Fireplace is really a pretend old fashioned small stove, helpful with heating the middle floor. Overall, we were very happy here and will rent it again! It was my first experience with a weekend rental house and everything exceed my expectations. The house is very comfortable and well furnished, the kitchen had many of the items we use at home and we loved the fact that just about everything was organic and earth friendly. The view is just wonderful as is the neighborhood. The upstairs carpet is not new but I suspect that is standard for houses that allow dogs and a good shampoo would more than take care of it, though it was not a problem for us. The house is near Fiscalini and near the ocean...what more could one want? Lovely, quiet, convenient get-away. Perfect for anyone wanting to spend a few days touring the Hearst Castle and other local attractions. Within walking distance of a great beach, too! Very relaxing place to stay with everything you could want for a weekend or a weeks stay. Kitchen was very well equiped: though no kettle to boil water for tea (sorry we're British!) Walk down the hill for walks along the beach and paths around the bay. If you were keen you could walk to town for dinner: we liked the Sow's Ear. a guest from Valley Village, CA does not recommend this vacation rental. The house is beautiful and in a great location, but once you get into bed you realize you can hear every noise and movement from the upstairs portions of the house. Everyone had to go to bed at the same time in order to get any sleep! We did miss a big screen tv--and some tvs in other rooms. Very nice location, reasonable price GREAT view. We will be back soon and would request this home again for our rental. 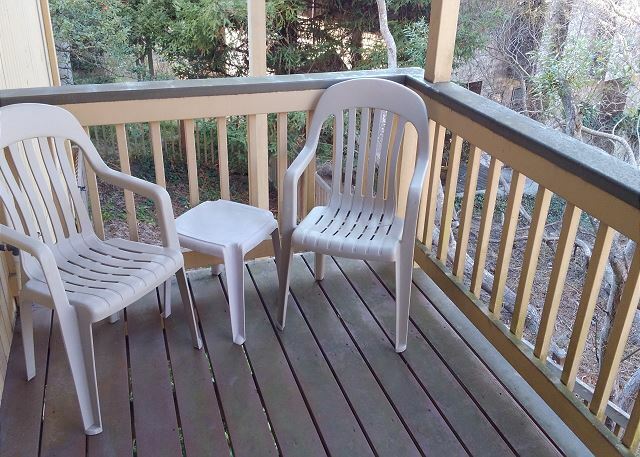 Not up to the standards of other properties we've rented: carpets in mediocre shape,wood balconies and front walk, in general, not well maintained.Overall actual appearance of property looked better in pictures than in reality. a guest from Murrietta, CA does not recommend this vacation rental. the view was wonderful. I felt that everything from the furnishings to kitchen accessories and the chairs out side were the barest minimum without to much thought to the guest. When I stay at a really nice resort I expect a little more . We really appreciate Breens helpfulness and won't use anyone else. The Breen staff were very accommodating. There was a last minute problem with another reservation by a different realitor but Breen saved the day. The house was beautiful, very comfortable and fit our needs perfectly. It was a great weekend. There were a few physical shortcomings which I have discussed with the agent. An Enjoyable Stay in Paradise! All five of us thoroughly enjoyed our stay and this very comfortable home! The house allowed us to stay in---or to go out---with all the amenities in had. Each of us left our stay relaxed, and ready to return in the future. Of special note, the steps leading up to the house were wide enough so I could use my walker with no difficulty---and the recliners in the living room were wonderful to sleep in. Thanks for everything! Bob & the rest of the crew at Breen are a true delight to work with. We recommend them to any one we can!! We will be back soon. We have never been disappointed. Keep up the great work. a guest from Anaheim Hills, CA does not recommend this vacation rental. They are remodeling the house next door. The construction noise started early and on Friday night it continued until 9:30 PM and all day Sunday too! Renters should be warned. It wasn't a quiet vacation.